Sixty schools from across the UK competed in more than 190 matches. Conditions were dry and sunny, with the team saying it proved to be “a fantastic day of rugby”. On the pitch there were cup wins from Warwick (U16s), Millfield (U15s) and Sedbergh (U14s). Warwick School won the Freeborn Shield for the best performing school across all age groups. 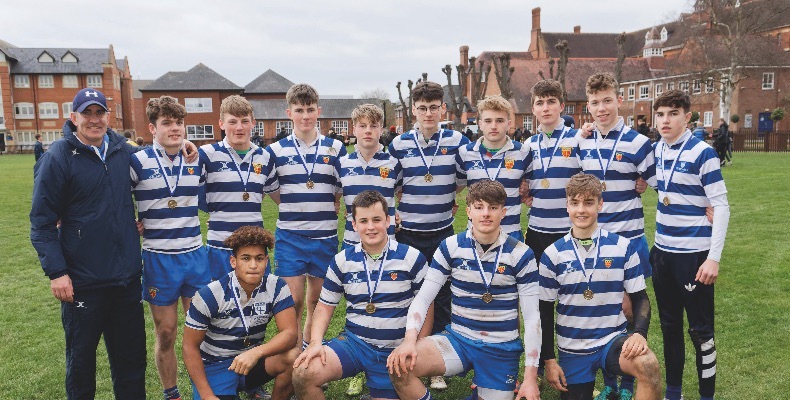 Warwick performed well across the age groups with a cup win for the U16s and U15s losing in the quarter-final match to eventual winners Millfield. The U14s lost in the final of their plate competition to Hampton 21-19 which was a tight, competitive match. The U13s won all their matches in the waterfall tournament winning the trophy, and the U12s had a tough start to their sevens’ season but won two out of six matches. Nick David (Old Warwickian, Worcester Warriors England U18) and headmaster of Warwick School Dr Deneal Smith presented the trophies to the respective age group winners: U16 – Warwick, U15 – Millfield, U14 – Sedbergh, U13 – Warwick won six out of six matches, U12 – Bishop Vasey’s and Hampton, and Freeborn Shield – Warwick School.